Ketogenic diets (now being called keto diets) are powerful metabolic tools that help your body switch from burning sugar (carbs) to burning fat. The result of that switch in fuel is an improvement in all sorts of health conditions. In practice, you get to eat real foods in the form of natural fats and protein (meat, fish, poultry) while carbohydrates (sugars and starches) are restricted. On this website, I’ll talk about how the diet works, and share details on proper implementation of the diet. The current body of research on metabolic cancer treatments using a keto diet continues to grow. 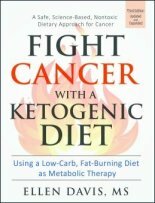 Keto or metabolic cancer therapy is somewhat different than the treatment for other illnesses, and is discussed in detail in my book Fight Cancer with a Ketogenic Diet, which is based on the metabolic therapy research of Dr. Thomas Seyfried and Dr. Dominic D'Agostino. The main idea behind the use of a ketogenic diet to treat cancer is to starve cancer cells of the sugar and other fuels they need to survive, and to provide support and protection for normal energy processes in healthy cells. The advantage of this treatment protocol is that it is non-toxic to the body, and in "wait and see" cases, it can provide an major health support advantage to the patient. The book was written for the patient and has all the details and research in an easy-to-use format. This new third edition of Fight Cancer with a Ketogenic Diet is also available in paperback form on Amazon. Ten percent of the profits of this book go to support Dr. Seyfried and Dr. D'Agostino's research, and I'm grateful to be able to contribute to their important work. Type 2 Diabetes: Although the current mainstream diabetes treatment advice to eat 45-65% of calories from carbohydrate is starting to change, many practitioners are still giving out the old advice. Since carbohydrate is the prime driver of higher blood sugar, this advice is detrimental to diabetic health because it results in blood sugar spikes and crashes, which in turn causes a greater need for medication and insulin. Those high blood sugars also result in the complications of diabetes. In contrast, a ketogenic diet reduces and in many cases, eliminates the need for diabetic medications and lowers the number of insulin units needed to manage blood sugar. For people with Type 2 diabetes, ketogenic diets remove the trigger (carbohydrate intake) and reverse the underlying insulin resistance which causes the disease. As a result, long term complications are reversed or avoided. Learn more in our Conquer Type 2 Diabetes e-Book or click on the book cover. Type 1 Diabetes: Lowering carb intake and increasing fat intake ﻿is also beneficial for people with Type 1, Type 1.5 diabetes and LADA. A low carb diet can help reduce the number and severity of hypoglycemic episodes, lower HbA1c test results and minimize future diabetic complications. 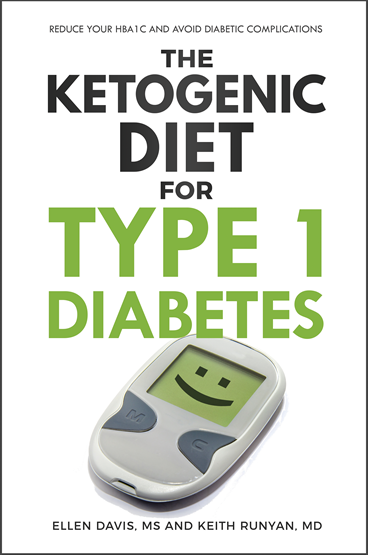 Learn more in The Ketogenic Diet for Type 1 Diabetes e-Book or click on the book cover. These benefits are also possible for children with Type 1 and their parents should know that they have options. Both books are also available in paperback format on Amazon.com. See the links at the bottom of this page. Insulin Resistance, Metabolic Syndrome and Pre Diabetes: these conditions are directly related to the effects of chronically high blood sugar and insulin resulting in insulin resistance (IR). In addition, related conditions such as fatty liver disease and PCOS are also caused by IR. Low carb, high fat diets have been used in studies to treat and reverse all of these IR conditions. Heart disease: Cardiac risk factors improve when blood sugar and insulin levels are lowered via dietary changes. HDL cholesterol goes up on a low carb, high fat diet and triglycerides fall dramatically. I also discuss what causes heart disease, and it isn't cholesterol or saturated fat consumption. Autism: New research is showing that keto diets are helpful in the treatment of autism. Neurological disorders: these include ALS, Multiple Sclerosis, and Parkinson's Disease: research is showing that ketone bodies exert a protective affect on the nervous system and slow the progression of nerve related diseases. Mitochondrial myopathy: Keto diets provide mitochondrial support and can improve metabolic energy disorders such as pyruvate dehydrogenase complex deficiency (PDHC), glucose transporter type 1 (GLUT1) deficiency, glycogen storage diseases such as McArdle disease, and a range of mitochondrial myopathies. Aging: The ketogenic diet reduces inflammation by quelling free radical activity and down regulating some inflammatory markers. The end result is a slower progression of the human aging process. Acid Reflux/GERD (heartburn): people who suffer from acid reflux or chronic heartburn will find great relief after adopting a keto diet, especially if all grain and fermentable carb sources (FODMAPS) are eliminated from the diet. In fact, I believe that some of the beneficial effects of a ketogenic diet are rooted in the elimination of toxins in foods that the keto diet limits. A typical ketogenic meal includes a 3-5 ounces of protein, usually cooked in natural fats (for example, butter, lard, duck fat, cream, olive oil, beef tallow, or coconut oil) with the addition of non-starchy or green leafy vegetables such as lettuce, spinach, summer squash, or kale. On a “normal” American diet, carbohydrate intake is high (about 40-60% of calories) while fat intake, and especially saturated fat, is limited. In contrast, carbohydrate intake on a keto diet is only about 2-4% of calories. When carb intake is low, meals are delicious and satiating. Hunger goes away, and more importantly, this dietary change has some powerful and beneficial metabolic effects on the human body, in part because it lowers blood sugar and insulin levels. The bottom line here is that the ketogenic diet is a powerful metabolic tool for treating a wide range of illnesses. It is not a fad diet, and if it is implemented correctly, it corrects metabolic function at the cellular level. This website discusses in detail the mechanisms of a ketogenic diet, including side effects, benefits and other information. If you are ready to get started, check out the keto diet plan page, or the low carb food list. You can read about the benefits of the diet, or see some recipes and meal plans. Or just peruse the navigation bar and click on what interests you. Krisstina Wise of Wealthy Wellthy Life and I discussed Adopting a Ketogenic Diet to Fight Cancer. Jimmy Moore interviewed me about translating the science on metabolic therapy here. I also did a fun interview with Raphael Sirtoli at Break nutrition on the medical uses of a ketogenic diet. I also talked to Brian over at Ketovangelist on using a keto diet to treat various health conditions. 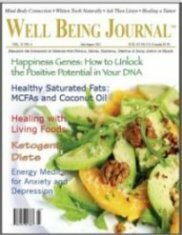 Well Being Journal (WBJ) published an article I wrote about the health effects of keto diets in their July/August 2012 issue. It includes a detailed overview of the benefits of ketogenic diets. 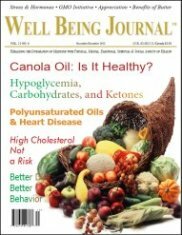 You can also read my hypoglycemia and low-carb diet myths published in the 2012 Nov/Dec issue of Well Being Journal.